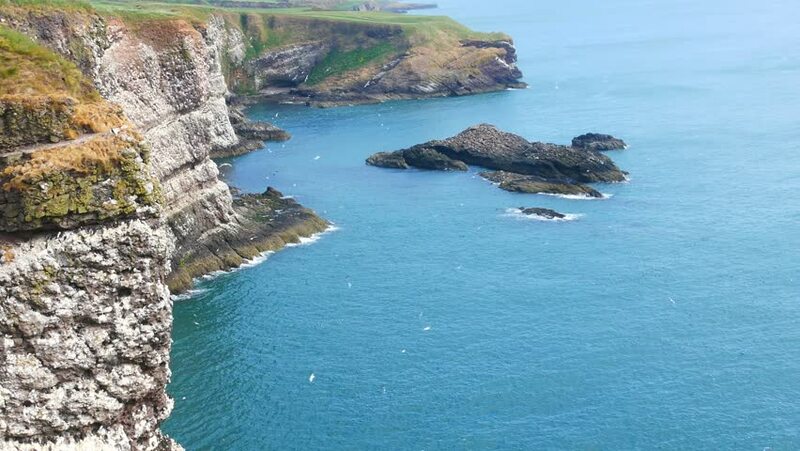 The spectacular cliffs at Fowlsheugh are packed with more than 130,000 breeding seabirds during the spring and summer months. 4k00:15Lonely rocky island in the sea. Aerial view Uninhabited tropical island among the ocean. Travel concept. Aerial footage.